Children love snuggling with those special people in their lives to have stories read to them. They enjoy the closeness that comes from the time spent together and they learn so much about the world around them through books. Through books, children learn good communication skills, they learn the rhythm and cadence of language and they learn higher level thinking skills. A new study out in September looked at the relationship between parent-child reading and brain activity. They found children from more stimulating home reading environments had greater activity in brain areas supporting story comprehension and visual imagery, which are both important for language and reading. You can also add another positive result by reading personalized books to your children. A story in which your child is a central part of the storyline teaches him about his own uniqueness, and promotes a positive self-esteem, along with an early love of reading. With that in mind, Bkeepsakes.com has created two very special personalized books for babies and children. 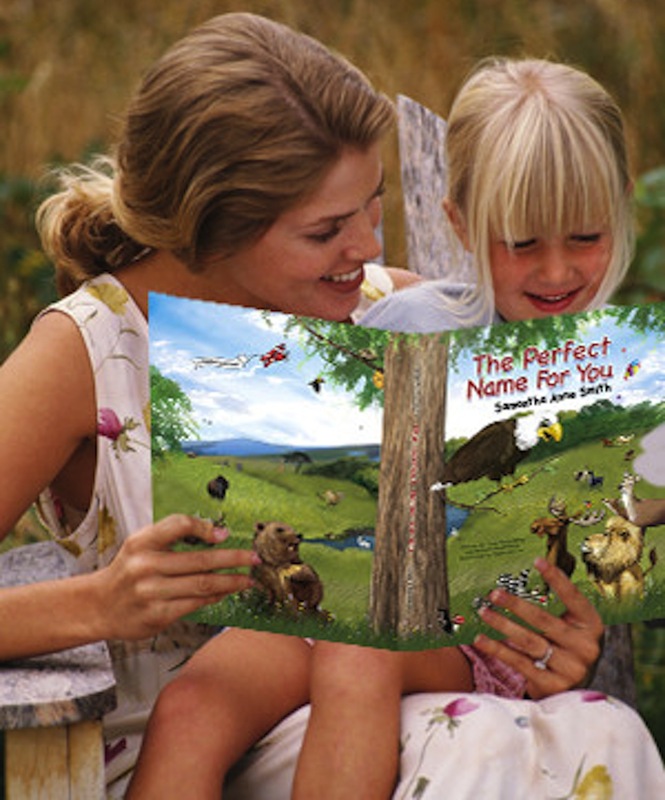 Each book contains the child’s name and other details unique to your child. In addition, each book contains a special character to find on the pages of the story. In The Perfect Name for You the animals get together to spell out the child’s name. The animals each brings a letter which shares something special about them. A short educational verse teaches your child about the animal, while he/she also learns how to spell his/her own name. The colorful, realistic illustrations and fun story will keep the child’s attention, along with looking for the little ladybug hidden in each illustration. Sonny the Stork’s Special Delivery is another adorable choice that chronicles the birth day of the child. It follows Sonny the Stork as he sets out across the country to bring the new baby to his/her family. Woven through the story is personalized information like the day and time of birth, the city and hospital and the friends and family who were there to welcome the baby home. Sonny gets some help from Berry the Bluebird in teaching your child just how very special that day was! These personalized books will soon become favorites, reminding children each time they read them, just how unique and wonderful they are. Sharing this gift of reading with your children has many benefits, but probably the most valuable are the memories created during those special times they spend with you.